King Saul disobeyed God and did evil, so God rejected him as king. 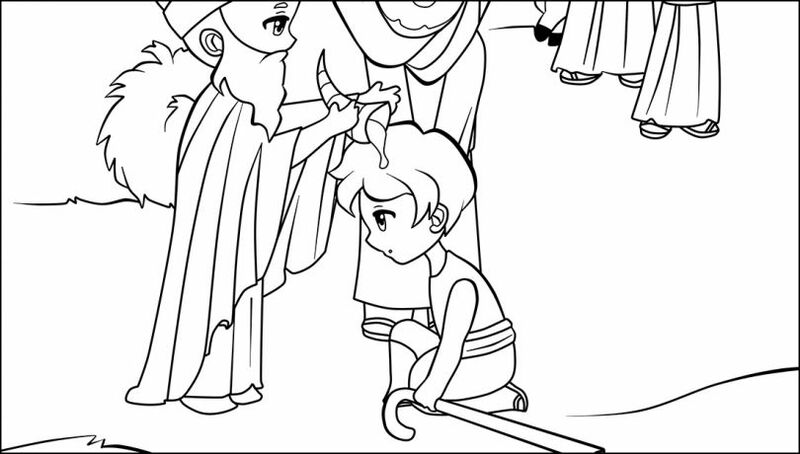 Then God sent Samuel to anoint a young shepherd named David to be the second king of Israel. King Saul was not a good king, and he had broken God’s laws. God was very displeased with him. So God told Samuel that He had chosen someone to replace King Saul. Samuel was sad to hear this. He cried and called out to God all night. He hoped God would change His mind (1 Samuel 15:11). But God knew what was best for His people. So Samuel got up early the next morning and went to Saul. He told him that God was taking the kingdom of Israel away from him because of his sins. Then Samuel went back to his home in Ramah, and Saul returned to his home in Gibeah. Samuel never went to see Saul again. But Samuel still continued to mourn for Saul. Samuel was reluctant to do this. He was concerned that Saul might try to kill him if he heard about Samuel anointing someone else to be king. God told him to take a cow and tell people he was in Bethlehem to make a sacrifice. So Samuel did what God said. He invited Jesse and his sons to come with him to make a sacrifice. Samuel began looking over the sons of Jesse. He started with the oldest son, Eliab. God spoke privately to Samuel, telling him that this was not the one He had chosen. One by one, Jesse called his sons before Samuel. After bringing seven of his sons before Samuel, Samuel told him that God had not chosen any of these young men. So Jesse sent for David. And God told Samuel, “Arise, anoint him. This is the one!” God had chosen David out of all of Jesse’s sons. Samuel took the oil and anointed David. The Spirit of the LORD came upon David from that day on. So Saul sent messengers to Jesse. He said, “Send me your son David, who is with the sheep.” And Jesse loaded a donkey with gifts of food and sent it with David to Saul. David came to Saul and served him. Saul loved him greatly, and David became the one who took care of Saul’s armor. Whenever the troubling spirit was bothering Saul, David would play his harp. Then Saul would feel better. David was young when God chose him to be the next king. But God allowed Saul to remain as king for several years, even after He had chosen David to replace him. After Saul died, David became king of Judah (2 Samuel 2:4). Saul’s family and the northern tribes of Israel refused to accept David as king even though God had chosen him. They fought against David. But God was with David, and their armies were finally defeated. David became king over all Israel. David began his reign as king when he was 30 years old, even though he had been anointed king when he was young. He reigned as king for 40 years. 1. Who was the prophet who came to anoint David? Why was he reluctant to anoint a new king? 2. Why did God choose David? 3. What was David doing when his father called him? 4. Which instrument did David use to play music for Saul? 5. Did David wait a long time to become king? What did he do while he was waiting? What might he have learned?